It might not be something that you think about every day, but an air filter is one of the most important parts of your HVAC system. It captures unwanted air particles such as pollutants, dirt, and dust, which could otherwise easily spread throughout your house. Over time, these bad particles will build up on the filter, which can lead to inefficient flow and costly repairs. If you want a cleaner house and reduce the risk of unforeseen repair costs, you should start thinking about regular inspection and replacement of your filter. However, most people might not know when to replace their air filter, so we created this short guide to provide a general starting point. Take note that multiple factors can determine either extend or shorten the lifespan of each filter. Find a SMART HVAC professional near you! A general rule of thumb is to change it at the start of every new season. If you live in a part of the country that doesn’t have all four seasons you can check your filters and change them as needed every 4-6 weeks. This ensures that your air filter is working properly and doesn’t accumulate too much buildup. Another thing to consider is the type of filter used in your home. The most common variant is a mechanical air filter, which uses fibers to catch air particles before they enter your ventilation system. Specifically, most people will use disposable mechanical fiberglass filters because of its low cost. However, the cheap filter only captures a small portion of unwanted particles, so it’s best to check it every few weeks to see if it needs a replacement. You can also consider using pleated or washable filters, which are more expensive but highly effective and includes a longer lifespan. Clean it once a month by spraying with water from a hose to further extend a filter’s longevity. The size of your home also dictates your filter’s overall durability. HVAC units in smaller homes require less energy to disperse clean air in each room, which means your air filter will last longer. However, those with larger homes with more rooms and additional floors will need a better filter because of the higher amount of energy required to bring in clean air. Using a budget filter for a larger house will only add more unclean air throughout your home. A final set of factors to consider are your habits at home. Those who smoke on a regular basis might find that just opening a window isn’t enough to remove the cigarette smell and its harmful effects. A portion of the toxic output can still find its way through your air filter, which can harm others living in your house and further decreases your filter’s lifespan. If you have pets, you might spend more money on replacements due to the high volume of fur that will accumulate on filters. Get in touch with a SMART representative today. Saving money is always an appealing proposition. Particularly in the limited free time we have, we’d rather spend our time outside enjoying the sunshine and the fun activities that come with it than worrying about your HVAC. However, when you come back inside to cool off, you’ll probably see an increase in your energy bills due to the uptick in air conditioner use. Between the costs of participating in seasonal activities and utility bills, this adds up! Increasing your home’s energy efficiency is a way to decrease your energy bills without a significant amount of time and effort. You’ll also be lending the environment a hand in lowering pollutants and potentially harmful emissions. Need an air conditioner tune-up? Find a SMART contractor here! As you’re racing out the door to enjoy the sunshine or leave for a weekend getaway, make sure you adjust your thermostat on the way out. There’s no reason to leave it on full blast if you’re not there to enjoy it. Reduce its air flow or shut it off when you don’t need it to ensure your bills reflect your actual A/C use. Not only do ceiling fans offer a refreshing breeze, but they can also help save you money. Ceiling fans can lower your energy bill costs as much as 30 to 40 percent, and make a room feel six to eight degrees cooler without you touching your thermostat. As every longtime homeowner knows, make sure your fan is spinning counterclockwise, so it generates a downward flow that accelerates the evaporation of perspiration and decreases the room temperature. Even though spring and summer days can be hotter than you may have expected, shutting off your air and opting for natural breeze when possible will improve your bottom line. When the temperature drops at night, consider lowering your air flow or turning it off completely to let cooler air circulate throughout your home. According to the Department of Energy, the gain and loss of heat through regular windows account for 25 to 30 percent of residential heating and cooling energy use. If you haven’t already, it’s in your best interest to update your current windows to energy-efficient treatments that fit your climate, improve your comfort, and increase your savings. In the process, seal any air leaks so cold air no longer escapes your home. This also ensures your air conditioner isn’t working overtime to compensate for the loss, which in turn reduces your monthly energy costs. It’s a win-win. Summer is right around the corner, which means we’ll be cranking up the AC for fast heat relief. It’s also a good time to try to save energy. I Want SMART has some green solutions that will also save you a lot of green this summer. HOW CAN I SAVE ENERGY THIS SUMMER? When you’re at home, set your thermostat as high as you can without feeling uncomfortable – 78° is generally recommended. Minimizing the difference between indoor and outdoor temperatures uses less energy, lowering your overall bill. The same goes for when you leave on vacation: keep your house warmer than normal so you don’t experience a spike in your bill for the time you’re away. 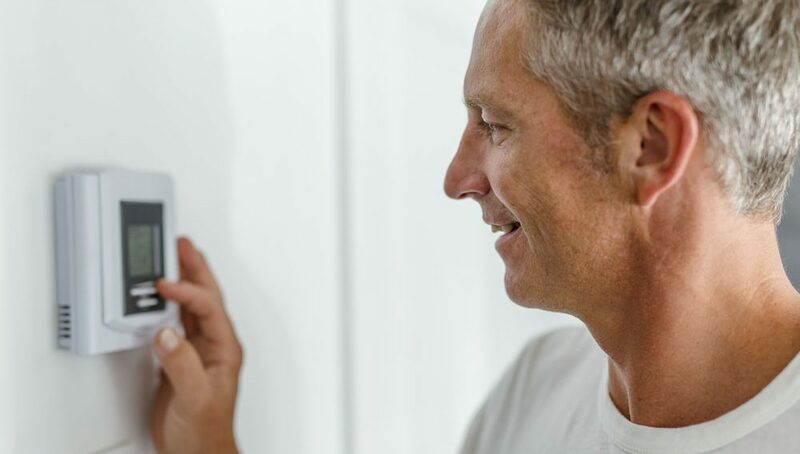 After returning home, it’s not unusual to want a cool home fast, but setting your thermostat colder than normal does not cool your home any faster, and it might actually drive up energy expenses. Closing all doors to rooms that trap heat and turning on your ceiling fan will actually allow you to raise the thermostat and increase cooling efficiency. Schedule a maintenance check for your AC unit to ensure it’s still effective and meets standards. Especially for an outdoor unit, making sure your system is weatherproofed and the registers/cooling fins are clear of dirt, dust, dandelions, and other debris is necessary to enhance the life of your machine and improve air flow. There are also some things only a professional can do, such as checking the coolant level. Additional tip: placing lamps or TV’s near your thermostat causes misreadings because the thermostat senses heat, signaling your AC system to run longer than needed. Clear the path around your thermostat for the most accurate reading. On particularly hot days, try not to overload on activities that use a lot of heat. These include running a computer, dishwasher, or using gadgets like curling irons and hair dryers. Instead of using your oven, plan on grilling outside, cooking on the stovetop, or breaking out a microwavable meal. After a long day of working or exercising in the sun, it’s tempting to either wash smaller loads to get rid of sweat stains at first sight or take longer showers to clean off. Using as little water as possible – in the form of shorter showers and consistently full loads of laundry – is a sure way to save energy and as much hot water as possible, relieving your water heater as well. Not sure what the ‘SMART’ move is? Let us help. You know what they say… too much of anything is a bad thing. This saying particularly applies to the amount of moisture and humidity that you have inside your home. With so many other household chores, who has time to worry about a few water droplets? In reality, all that moisture and water can cause some major issues to start forming in your house, which are not cheap to resolve. What are the major things I need to focus on to control the moisture levels in my home? Ah, the forgotten attic and basement strike again. It’s so easy to forget about rooms in which you are not spending a lot of time. However, since basements are partially or fully underground, they harbor a lot of moisture. Attics, on the other hand, are famous for having a lack of ventilation and heightened climate conditions. If it is hot outside, it is probably scorching in your attic, and if it’s cold out, you can guess that it is near freezing up there. This causes condensation to form that can rot wood and grow mold. This is why having an HVAC professional inspect the ventilation quality of your home is so valuable. A consultation appointment could save you from a black mold issue or replace rotting windows in your house, far before their expiration date. Proper ventilation throughout your entire home, in the seen and unseen areas, ensures clean and comfortable air all year long. Have you cleaned out your gutters lately? It is important to make sure that the water running through your gutters is going in the right direction. If there is a blockage somewhere in your gutters, you are risking that water pooling near the foundation of your house instead of moving away from it. What does this mean for you? Every house has little cracks and imperfections where water or moisture can seep through into the foundation of your house. Bad news. Cover those pots and pans when you’re cooking if you can help it. Anything cooking on the stove that contains liquid spreads additional moisture throughout the air. To be on the safe side, it is best to flip on the vent over the stove to help remove some of the grease and moisture from the kitchen. We recommend choosing an EPA certified product if you are looking for an efficient ventilation option. Who doesn’t love a nice hot shower? The answer is your bathroom ceiling and wall paint. All that added moisture from your shower can cause paint to peel, mold to grow and bathroom ceilings to take on water damage. Again, this goes back to proper ventilation for every room in your house. If you don’t have a bathroom fan installed in your ceiling, now is the time to get one. A functioning bathroom fan can limit the amount of moisture in your bathroom and prevent water damage from taking over. Need more information your heating, cooling, and ventilation needs? At I Want SMART, we connect you with the best HVAC professionals to meet your needs. Contact us to find out how we can help you get started on your next project today. When the weather starts to warm up and the snow is melting, it’s time to jump into spring cleaning. Dusting, organizing, washing the couch covers, cleaning the floors, and cleaning out the garage are normally some the first items on the list. While you are outside washing your windows, you may realize you never thought about other warm weather preparations on the outside of your house. Ah yes, that good old AC cover is still wrapped around your unit waiting for you. Before summer starts rolling in, there are a few things that need to be done to keep your AC blowing in the cool breeze all season long. If you placed a cover on your condenser over the winter, it’s now time to remove it and do a general inspection on the condenser. Do you see any major weather damages? Nesting animals? If you didn’t cover your condenser over the winter, there might be some snow and ice removal that needs to be done. After all those long winter months, some of the shrubs and other plants in your yard may have overtaken their boundaries. Go through with a pair of hedge trimmers and make sure that all of your landscape is at least 18 inches away from your AC unit. This will help avoid things from getting caught in the fan or blocking air intake to the condenser. If you see a lot of debris on and in-between the fins of your unit, it might benefit you to take a hose with a spray nozzle attachment and clear some of the grime off your condenser. Remember to keep your hose at a 45-degree angle when you are spraying your unit so that it can properly clean out the crevices. Before you turn the AC on, you need to change the air filters out. We recommend using a pleated HVAC filter to ensure the best air filtration throughout your home. If you are frequently using your AC in the summer, you should be replacing the filters once a month to maintain a healthy air quality in your home. Once your air filter is replaced, there are still a few things you need to keep in mind before you click on the AC. When you are putting the air filters in, check to make sure there are no gaps that unfiltered air can pass through. If you are unsure that your filtering system is working properly, don’t hesitate to have an HVAC professional take a look at it. At I Want SMART, we are here to connect you with qualified contractors to resolve your heating, ventilation and cooling needs. Visit our SMART locations page to find a location near you or contact us to speak with a representative today. As the weather continues to warm up, your AC system will undoubtedly experience an increased workload. While the glorious feeling of an air conditioned home is one of the summer’s most comforting feelings, the mishaps that can come with it are enough to offset the benefits as a whole. Among those, the dreaded frozen AC system. There are a variety of possibilities that can cause your AC system to freeze up. In almost all cases, it’s important that you don’t attempt to tackle these on your own, as they will require the help of an experienced professional. Over time, your evaporator coil will acquire a buildup of dirt and dust. You can identify this issue by checking the status of your air filter. If the filter is clean and the you’re still experiencing decreased airflow, your evaporator coil is a likely culprit. Fortunately, evaporator coils don’t become dirty enough to make a significant difference overnight. However, it can be difficult to identify its effectiveness until it’s too late. A SMART contractor can help. Over time, system wear and tear can cause leaks in your refrigerant line. While a variety of causes can be attributed to a leak, it can also lead to your system freezing up. Judging on the age of the system and location of the leak, you may be able to repair it, but in some cases, you may need to buy a new system entirely. If your blower motor is not running at the correct speed, your system could freeze up. In some cases, the speed of the blower motor may vary, which can cause problems as well. A defective relay can also cause issues with both stopping and starting, but these can be difficult to diagnose. Contact us, and we’ll help get it fixed in no time. https://iwantsmart.com/wp-content/uploads/2016/05/Frost-collecting.jpg 683 1000 SMART https://iwantsmart.com/wp-content/uploads/2019/02/SMARTlogo-nav2019-300x146.png SMART2016-05-16 23:54:062016-05-16 23:54:06Why Is My AC System Freezing Up? It’s always nice to swing into the spring season and come out of hibernation with a full head of steam. Ideally, you’d like your HVAC systems to do the same, but unfortunately, that isn’t always the likely outcome. That doesn’t mean it can’t happen, however. While in the midst of your spring-cleaning sessions, take a look at your systems and add these items to your spring HVAC checklist. First things first, always check both your heating and cooling equipment at the beginning of a new season. Check out both your outdoor AC Unit and your indoor HVAC system. Are they heating/cooling your home properly? Are either of them making strange sounds? Do you smell anything abnormal coming from them? If you’ve answered yes to any of the above questions, it could be time for professional help. Depending on the type of filters you have, you may have to change them as much as once per month. (You can see our recommendations for filter changes here). While this might seem like quite a bit of labor on your part, it can save quite a bit of money in the long run. Dirt and dust can obstruct your HVAC system’s airflow, leading to a less efficient machine. Anytime your systems aren’t running in tip-top shape, they require more energy to heat or cool your home properly. More energy = a higher electric bill. You do the math. All of your indoor HVAC components should be cleaned and lubricated to ensure that they’re operating at maximum efficiency. Blower fans and coils need to be dust and dirt free to perform at the highest level. Outdoor systems need to undergo the same treatment, but there are other factors to consider as well. Wind and rain can carry sticks, leaves, grass, mulch, and other common outdoor home items into the crevices in your system. Like we mentioned earlier, any obstruction of airflow is detrimental to your HVAC efforts. If either of these processes seem a little bit out of your league, don’t fret. A SMART contractor can perform a system clean and check for you, and right now we’re offering a $50 rebate for those services. No doubt about it, winter takes a toll on your average, everyday furnace. After running all season for years on end, your furnace has almost certainly accrued some mileage. If the repair bills are starting to mount, or if you know they’re probably right on the horizon, it makes sense to start replacing your furnace and get everything taken care of for good right now. Here’s why. As mentioned above, it’s best to get ahead of repair costs. Think of your furnace as a car. You can replace the tires, the muffler, and the brakes, but that’s not going to stop the other parts from eventually breaking down. If you’ve begun the process of having your furnace fixed in one way or another, it’s only a matter of time before you’re going to need it fixed more frequently. Get ahead of it and cut your losses before it’s too late. 2) We’re offering an exclusive rebate. Schedule your furnace replacement before June 30th, and we’ll toss in a $200 rebate free of charge. Take note that this specific rebate is completely exclusive to SMART customers. Many other companies will try to sell you on the manufacturer rebates that are offered to pretty much everyone. Of course, we include those too, but we’re always looking to take it one step further in an effort to make it easier on you. 3) Right now, there’s lower demand. We’re pretty proud of our turnaround time at all times of year, but if there was ever a time to pounce on our deftness, it’s now. Many people wait until they’re huddled around their ovens in the dead of winter to schedule an appointment. Of course, that’s probably not the best way to go about it. A small tip, if you have a pilot light, you’re way past due. Odds are your unit is at least 25 years old, which means you’ll soon be hit with hefty repair bills if you haven’t been paying them already. So don’t wait until it breaks. Keep your house temperature regulated, keep your energy costs down, and take advantage of the timing with our exclusive rebate. Replacing your furnace after winter is SMART. When was the last time you had your HVAC system inspected…professionally that is? If the answer is last fall, last year, or perhaps never, then it’s time to consider just how important proper care of your HVAC is in the protection of your home. As a rule of thumb, it’s a good idea to have a qualified contractor inspect and adjust your HVAC equipment every spring and fall to maximize the system’s lifespan and efficiency performance. From the assessment of unit wiring and electrical disconnect to the calibration of your thermostat, a professional HVAC inspection will check that all aspects of your HVAC system are running properly and safely. Not only does a well-maintained HVAC system improve product performance, but it greatly benefits energy efficiency. 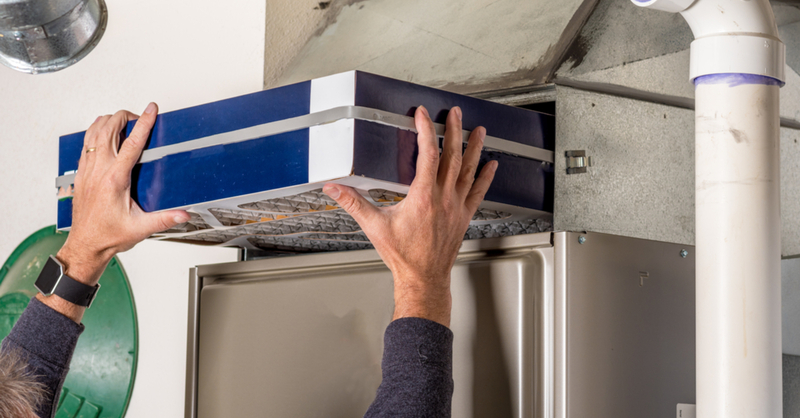 Households and commercial space that implement proper HVAC maintenance will use at least 15 to 20 percent less energy than those systems left to deteriorate. Preventative maintenance is unquestionably the best defense for your home. This is especially important as we head closer to the warmer months, when our AC units will be working overtime. SMART is offering customers—for a limited time only—a $50 rebate when scheduling a cleaning and maintenance inspection with one of their partnering contractors. There’s no time to delay! This rebate expires on June 15, so be sure to take advantage of this special before it’s too late. To receive your rebate, just head over to IWANTSMART.com and complete the short form. So what are you waiting for? Give your AC unit a little TLC this spring, while saving some money on HVAC maintenance. Preventive maintenance…is it really worth it in the long run? A question that most home owners, landlords and hoteliers alike contemplate when looking to hire an HVAC contractor. The answer? Peace of mind, long-term savings, trouble-free operation. It is important to note that you can prevent problems and costly emergency service requests by keeping your system well maintained. This is particularly poignant if you are a landlord or hotelier, where your business is offering accommodations to paying customers. You can’t have an unreliable furnace, or a constantly malfunctioning air conditioner. It just wouldn’t look good, or provide good customer relations. Let’s take a deeper look at some of the potential benefits of preventive maintenance and quantify the importance of partnering yourself with reliable, smart HVAC contractors near you. Increased Energy Efficiency. The use of high-performance HVAC equipment can result in considerable energy, emissions and cost savings of between 10%-40%—according to Whole Building Design Guide, a program of the National Institute of Building Sciences. So, why not give your equipment the ability to run at peak performance, while benefitting from lowered monthly utility bills and increased annual savings with energy efficient operations? Extended Equipment Lifespan. Equipment that is clogged with dirt, dust and grime has to work much harder and longer to create the same amount of heating or cooling, which leads to early burnout and failure. Don’t spend more on preventable replacements and frequent component change-outs. Spend smarter on preventive maintenance to extend the shelf life of your existing heating, cooling and ventilation equipment. Improved Air Quality. Indoor air quality can be affected by dirty coils and blower parts within your air conditioning unit. This raises many health-related concerns, such as pollen, fungi and bacteria buildup, that you could be breathing in on an everyday basis. This sort of buildup can trigger asthma attacks; eye, nose, and throat irritation; and flu-like illnesses. Regular cleaning of these components significantly reduces contamination of your airstream and makes for a healthier household and happier living environment. Decreased Costly Repairs. Scheduling regular maintenance can greatly reduce the potential for a costly service down the road by as much as 95%. Although it is impossible to avoid all HVAC repair situations, preventive care can save a lot of money on unanticipated heating and cooling emergencies. Remember, prevention is always better than the cure. The benefits of preventive maintenance are certainly telling, with all leading to big savings in time and money. By scheduling a pre-season maintenance visit, it allows enough time for any repairs to be completed prior to a serious weather change like summer, which is right around the corner. Contact SMART today and inquire about a maintenance plan. A qualified SMART contractor will get you ready for summer’s heat, guaranteed.